I remember the first time I gave my baby girl a bath. I remember thinking how excited I was to watch her splash her hands in the water, to let her stare in amazement at all of the fun bubbles floating around her, to feel her sweet baby skin, to get her all nice and squeaky clean. Bath time is the one time that we have with our babies where it is uninterrupted one-on-one contact. There is no cell phone interruption, no outside distractions, no internet browsing on your laptop. The entire time, you are holding her, steadying her, even playing and laughing with her. Because of this intimate and consistent attention over the time span of a few minutes, studies have shown that bath time is one of the most crucial times for cognitive development for your baby, helping her stimulate and expand her brain and social interaction skills. 2. Babies need to be touched. Studies have also shown the importance of touch with babies – and during bath time, they are held and scrubbed and washed the entire time by the attentive and steady hands of a parent. Babies who are affectionately touched by a loving parent or caregiver are 50% more likely to have eye contact, as well as 3x more likely to have positive interaction. Touch is also sometimes called our “first language,” hence the importance of it for babies who don’t yet know how to communicate with a native tongue. 3. 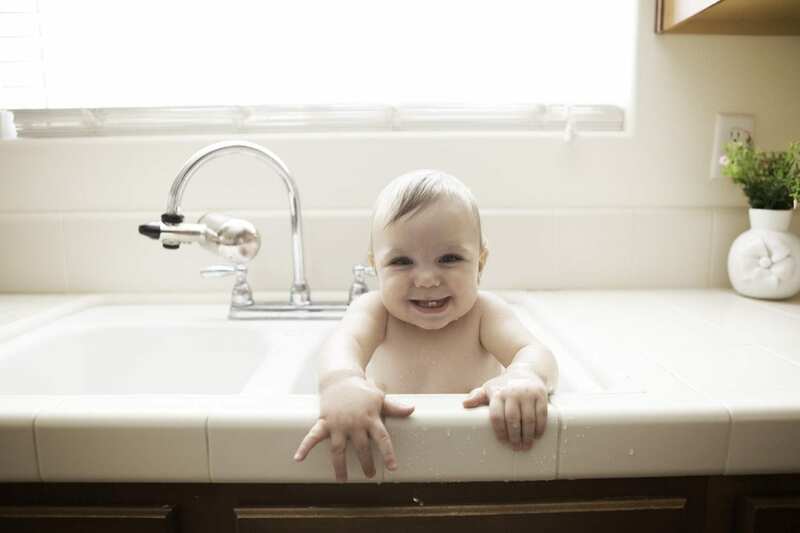 Babies associate the smells of bath time with good memories. Fragrance is the substance of memories. When we smell something familiar, it can take us back to a place in our childhood or memory that reminds us of a specific event – kind of like how blueberry pie reminds you of Grandma’s house, or dirty gym socks reminds you of your days on the basketball team. Whenever your baby regularly smells the scent of their shampoo or body wash, they will associate that scent with the precious times they have spent with mommy or daddy during bath time – the splashing, the toys, the bubbles, the giggles. Our babies are the most precious part of us, and the most important thing about our future. As parents, it is crucial that we use every opportunity we have with our child to nurture, love, and help them grow into great people. And since baths are necessary anyway, it’s a great way to bond with them and give them the attention, touch, and sweet memories they deserve.